Shin splints are a common lower limb injury in individuals that partake in running or impact sports. “Shin Splints” is a collective term used to describe a number of conditions that fall under “Medial Tibial Stress Syndrome” (MTSS). Generally shin pain arises from either or a combination of Muscular involvement, Tenoperiosteum (junction where tissue attaches to bone) and/or bone. Anterior shin splints are located on the front part of the shin bone and involve the tibialis anterior muscle. The function of the tibialis anterior muscle is to lift and lower your foot. It lifts your foot during the swing phase of a stride, then it slowly lowers your foot to prepare your foot for the standing phase. Posterior shin splints are located on the inside rear part of the shin bone and involve the tibialis posterior muscle. The function of the tibialis posterior is to lift and control the inside aspect of your foot/arch during the standing phase. The condition commonly presents in both legs at the same time with one leg often being worse than the other. At first, discomfort may only be present at the beginning of exercise and feel to “warm up” during exercise, but then reappear once cooled down after activity. As the condition progresses the pain tends to stay during activity and can be severe, enough to limit the person from continuing activity. The pain may also last hours after activity at this stage. Individuals often describe a dull, aching pain in the front, inside aspect of the lower leg and can progress to sharp shooting pains with running and impact. The inside and front of the shins are often tender to touch and depending on the cause and severity will determine the extent and pain location. Individuals further often experience a feeling or tight or fatigued calves whilst exercises and may have some associated foot pain. What increases the risk of shin splints? Biomechanical abnormalities and training errors. What to do if I have shin splints? Treatment is dependant on the underlying causes identified by your Physiotherapist. Our Physiotherapists complete a thorough bio-mechanical assessment to determine the cause of your shin splints and further tailor an appropriate individualised rehabilitation program for you. If you are experiencing shin splints that are stopping you from doing what you love, don’t just rest and wait, jump online and book an appointment at Enhance Physiotherapy today. Shin Splints or (MTSS) refers to pain in the front or inside of the shin and is a result of overloading of the bone or muscles in that region. Addressing the issue early is important to prevent it progressing into a more serious grading or bone stress response /fracture injury which requires rest from impact activities such as running. There are many different causes of Shin Splints and therefore it is important you get assessed by a Physiotherapist to determine the underlying causes and further develop an appropriate rehabilitation program. A graded running/training program and screening for mobility and muscle imbalances are a great way at reducing the risk of developing this common injury. Treatments that have been shown to help reduce symptoms include hyperbaric chambers which can increase the patients energy levels, and floatation therapy which can help to settle the patients overactive central nervous system. Education and understanding of this condition can have the largest impact for sufferers, helping them to manage and maintain some control over their symptoms. Physiotherapists can have a large role in education and helping patients find a routine and activity level that helps them manage their condition as best as possible. 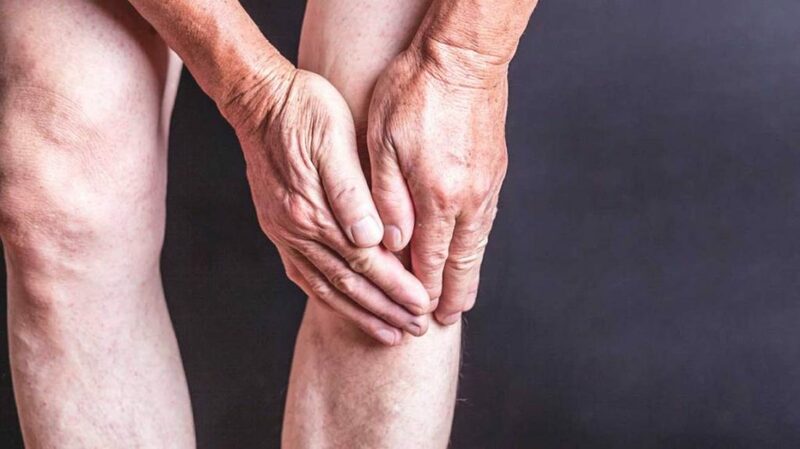 Over the years since I, Dave Rossiter, graduated as a Physiotherapist, I have noticed a significant change in the way people with knee osteoarthritis have been advised to manage their condition. In my first role as a graduate rotational physiotherapist at the Albury Base Hospital back in 2004, I completed rotations through the Orthopaedic Ward. There, I regularly treated patients as young as 50-55 who had undergone a total knee replacement due to the pain and functional effects of osteoarthritis. However, back then it was often anticipated that a total knee replacement would only last 12-15 years. 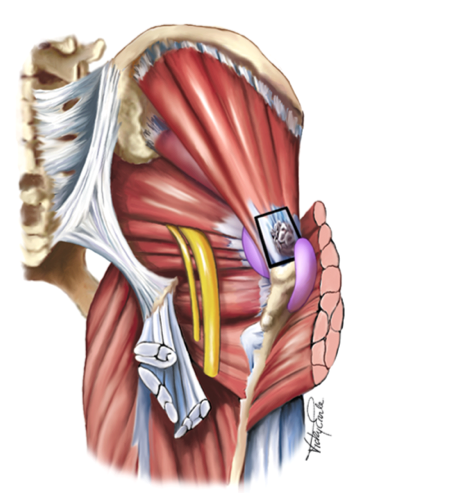 Fast forwarding 15 years, much has changed in the management of knee osteoarthritis. There are now mainstream use of uni-condylar (or partial) knee replacements in lieu of replacing the whole joint in suitable candidates. More people are being recommended to gain education about the management of Osteoarthritis, exercise and manage their weight in accordance with the recently updated Royal Australian College of General Practitioners guideline on the management of hip and knee osteoarthritis. However, the question still remains, just how long can we expect a total knee replacement to last. Survivability of a total knee replacement was 3% at 15 yearsand 94.8% at 20 years. Survivability of a uni-condylar knee replacement was 5% at 15 yearsand 81.9% at 20 years. The clinical implications of this study include having greater awareness about the longevity of a total knee replacement prosthesis. With the average age of the population increasing, and more people in the 35-55 age group being diagnosed with osteoarthritis of the knee, the timeframe of a knee replacement can impact on choice of surgical versus conservative management. If you would like to discuss these findings and review how we can assist with any conservative management options or would like more information about our GLA:D program, please contact the clinic on (02) 6041 3609. With so many different types of running shoes available, it can be hard to know what to look for and which one will suit your activity and foot type. Should you go for a minimalist shoe or an anti-pronating shoe? A pure running shoe or a cross trainer? Generally, shoes can be broken down by the amount of support and shock absorption that they provide. Shoes that are minimalist or free running type shoes provide little external support to the foot and encourage increased muscle activation for stability and force generation. The also provide limited shock absorption to the foot and lower limb. This style of shoe may not be suitable for some runners, particularly if you are new to running or doing longer distances. As you move through the levels of support, shoes generally provide counters to over pronation of the foot (rolling in) and higher levels of shock absorption. Running shoes differ from cross trainers as they generally have more cushioning in the heel to absorb the impact of running and can have less sole in contact with the ground. Cross trainers tend to have flatter soles and can be wider to assist with more dynamic movement and strength training. These shoes are great for a range of different exercise however may not be the most comfortable option for running. Generally, there is no one shoe for each of us. You may benefit from a couple of different style shoes. Your exercise preferences and foot type will determine the level of support and shoe style that will make you more comfortable. It is recommended that running shoes are replaced every 6-12 months depending on the amount and type of running or exercise you are doing. If you are looking to replace your current running shoes or are having some reoccurring symptoms in your feet, ankles or knees with exercise, contact us on 60413609 or book online with one of the Enhance Physiotherapy Team for advice on what running shoe may best suit you. Osteoarthritis (OA) is a leading cause of disability in older adults and can severely impact quality of life. Obesity is a major risk factor for development of OA as the extra weight increases the load on the joint. Approximately, 80% of affected individuals have some degree of movement limitation, while 25% are unable to perform major activities of daily living. Often a ‘go to’ treatment recommendation from health professionals for people with OA is to ‘lose weight’ – which is far easier said than done but a a 10% reduction in weight has shown a 50% reduction in knee pain. So while losing weight is a daunting prospect it can have a huge impact on level of pain and quality of life. The most effective way to achieve weight reduction in this study was a combination of diet and exercise, when compared with diet or exercise changes alone. Diet changes involved a 800-1000 kcal/day deficit and exercise consisted of 1 hour, 3 times a week and incorporated aerobic and strength training exercises. This program was continued for 18 months. To kick start your journey Enhance Physiotherapy now offers the GLA:D Program – an exercise and education program as a first line treatment for anyone with hip and knee osteoarthritis. If you are experiencing regular neck pain that just won’t go away, it’s possible that parts of your daily routine are contributing without you realising. Here are a few common everyday activities that might be making your neck pain worse. Many of us make sure our work stations are ergonomically set up to reduce stress and strain throughout the day. Few of us take the same consideration when it comes to driving. In fact, the set up of your car can be just as important as your work-desk, particularly if you are driving more than 30 minutes everyday. The correct setup in your car can mean you use less effort to drive and turn your head less often to check traffic. Ensuring that your steering wheel, seat and mirrors are set up correctly could make a difference to your posture and even perhaps reduce neck pain and headaches. Many of us unwind by watching TV or using our phones or laptops at the end of the day. 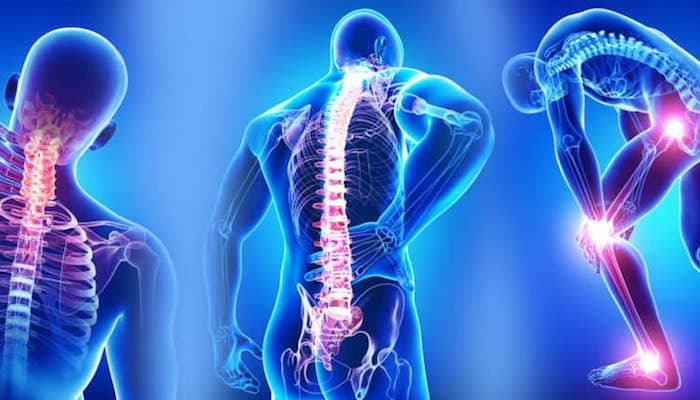 Your position during this time can be something you give little thought to however, looking up to view a screen mounted on a wall or looking down at a small screen or laptop can put pressure on the upper structures of the neck. Take a few minutes to consider what posture you’re sitting in before settling down to binge watch a series and see if you can either lower the height of your screen or raise it slightly so your neck can be in a more neutral position. Your physiotherapist is able to identify any daily habits or activities that might be contributing to your neck pain. Come and see us for an appointment to see how we can help. The Truth About Sitting All Day! You’ve probably seen all the news reports and read the paper about how bad sitting all day at work is for you? Let’s break it down, you wake up, sit down to have breakfast, make your way to work probably sitting in a car/ train or bus, then sit at work, even have lunch sitting down, then travel home and sit on the couch. So all in all we are looking at 12-15hours of sitting, every day! The human body was made to move constantly throughout the day, and you sit for more than half of it, and lie down for 6-8hours, making you sedentary for approximately 20 hours a day. Prolonged sitting has been linked to numerous chronic diseases such as diabetes and heart disease. A person who sits all day may find weight gain to be an issue. This is because the body slows down in a seated/ resting position, so does metabolism, so calories are burnt at a far slower rate. But how do I stop sitting all day? We have to be realistic as most people work at a desk and unless you’re going to change your career path it’s difficult to change your seating habits but we have a few tips that will hopefully get you more active. Keep track of how long you sit each day, this total might surprise you. Start an exercise program  The World Health Organisation (WHO) recommends 150minutes of physical exercises a week, combine this with a walking program and before you know it you will be feeling better, losing weight and doing more than 150minutes. Soleus – the overlooked muscle in runners! What is the Soleus muscle? Your calves are actually made up of 2 muscles. The first muscle is the commonly known gastrocnemius (the large bulkier muscle) in your lower limb. The second muscle is your soleus. Both muscles are extremely important for ankle stability and particularly responsible for pointing your ankle downward. Therefore, your soleus is a vital muscle for walking, running and balance. The soleus muscle is often overlooked by the general population due to it being a smaller flatter muscle hidden behind your larger gastrocnemius muscle. Your soleus runs from just below your knee to your heel/Achilles tendon, behind your leg. It is made up of predominantly slow twitch muscle fibres and therefore makes it more resistant to fatigue. Why is this muscle so important in runners? When you run, your body has to support up to 3-8x our own body weight! Both of your calf muscles have a very important role in walking and running and in particular our soleus. This particular muscle works to flex the foot so that the toes point downwards (plantar flexion) and further plays an important role in ankle stability and standing posture to prevent you from falling forward. The soleus muscle does not have the power that our larger calf muscle (gastrocnemius) has, due to it primarily made up of slow twitch fibres and therefore this muscle is importance for endurance. 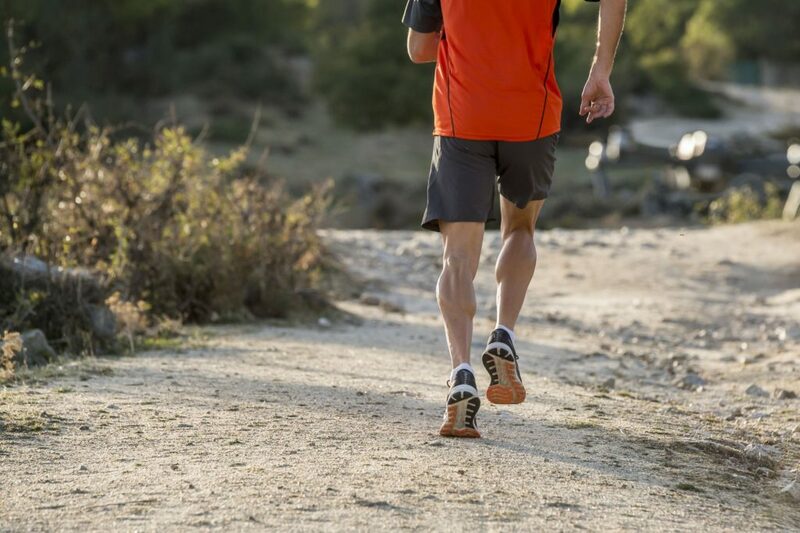 The soleus bears a lot of load during running, much more than the larger gastrocnemius muscle and is often called the skeletal-muscle pump because of its ability to pump deoxygenated blood back from your legs to your heart. How do I make my soleus stronger to assist my running? The best way to activate your soleus involves plantar flexion or pointing your toes downward, while your knees are in a bent (preferably at or around 90 degrees) position. Bent knee’s during heel raises targets the soleus. For some great exercises to target your soleus be sure to visit Enhance Physiotherapy and speak to your Physiotherapist. 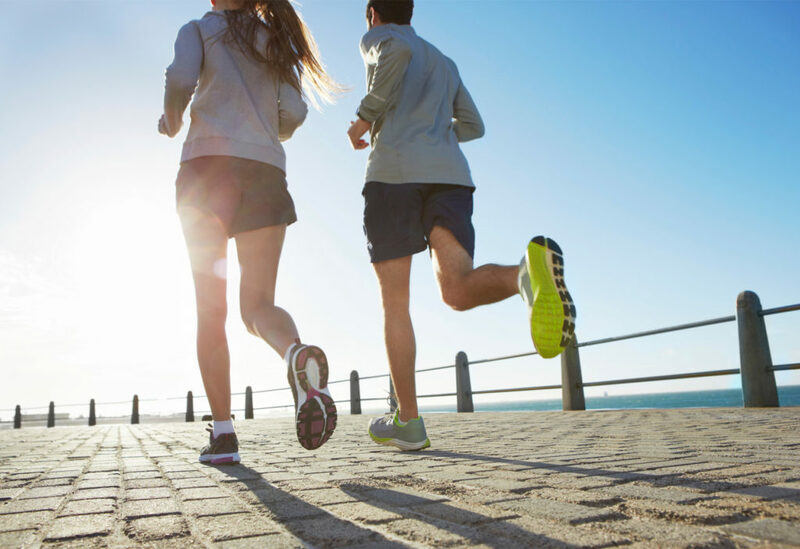 Our running assessment will evaluate your running form to identify muscle imbalances along with areas of your running technique that you can correct in order to improve performance and reduce the risk of injury. Last week we posted a video on our Facebook page of an incredible 84 year old woman who is completing strength training exercises as part of her rehab program following muscle tears in the shoulder. Her initial shoulder injury can be attributed to frailty – a condition of weakness that we usually associate with elderly people. Research (systematic review) has looked at the most effective intervention for delaying and reversing frailty once it has been identified. In over 900 studies and over 15,000 participants the most effective intervention found for delaying or reversing frailty was a combination of strength training and protein supplementation. So at the end of the day, age is no excuse to be missing out on strength training! If anything – this research highlights how important it is as we get older to stay strong and avoid or delay the impact of frailty. Our team at Enhance Physiotherapy are skilled in accurately assessing, diagnosing and managing individuals experiencing a gluteal tendinopathy.